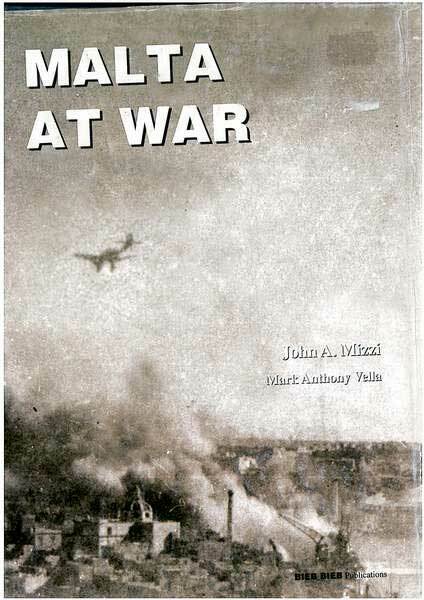 At the close of 1940 some six months after the first Italian bombs fell on Malta, Mussolini’s German allies came south to his support and attacked the beleagured island with an intensity to match the blitzkrieg on Western Europe and the air offensive against the British Isles in the summer and autumn. In january 1941 the Luftwaffe swarmed over Grand Harbour in all-out assault to sink the aircraft-carrier HMS Illustrious, crippled at sea while escorting a convoy to Malta. The Stukas failed in their mission but sowed destruction and death in the dockyard area as the anti-aircraft gunners and a handful of Royal Air Force and Fleet Air Arm fighters took their toll of the screeching hordes. Malta was now in the forefron of total war, day and night, and fought back with a determination that boulked the Luftwaffe in its tracks. L-Isla, Birgu, Bormla, Marsa, Valletta, Sliema and other towns and villages bore the brunt of the ceaseless bombing and many were killed. Life was disrupted. But everyone, from the Governor downwards, was determinated to fight it through. Conscription was introduced early in the year and the ypouth of Malta was mobilised for home defence as the dwindling food stocks and other essential supplies. The Mediterranean Fleet fought convoys through to Malta, conveying troops, arms and provisions, while aircraft-carriers ferried fighter reinforcement from Britain via Gibraltar into the Western Mediterranean for onward flight to the island. In North Africa the early successes of the Commonwealth 8th Army were in under five months reversed in Cyrenaica by the newly assembled Afrika Korps. Germany’s conquests appeared relentless as Yugoslavia and Greece were overrun in a swift campaign of three weeks and the island of Crete seemd ripe for conquest y airborne forces, a harbringer of what the future could hold in store for Malta. 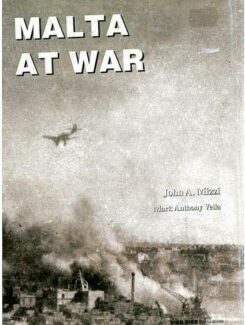 The Mediterranean Fleet won a decisive victory over the Regia Marina at the Batle of Matapan, which encouraged the Royal Navy to station a small squadron of fast warships in Malta to join the submarines and the RAF and FAA aircraft in their hunt of the Axis supply convoys operating between the Italian mainland and Libya in support of the Afrika Korps This second volume is a record of the first four months of 1941 at the time Hitler was formulating an attack on the Soviet Union.